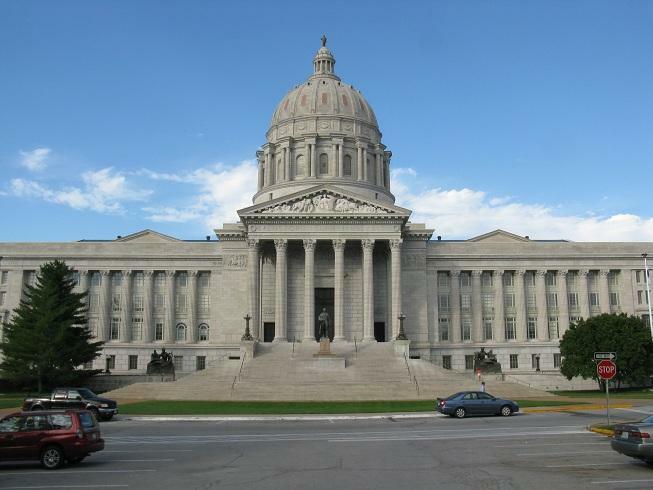 The Missouri House acted quickly Tuesday to override Gov. Jay Nixon's veto of a tax-cut bill that is estimated to cut the state's revenue by about $620 million a year when fully implemented. The House obtained the exact number of votes needed — 109 — with the help of one Democrat, Rep. Keith English of Florissant. He joined all of the chamber's 108 Republicans. The House joined the Senate, which voted 23-8 on Monday to override the governor's veto, which he issued last week. House Speaker Tim Jones, R-Eureka, was jubilant. “Today, we showed Missourians why they elected a Republican supermajority to the Missouri legislature: we pass important, conservative policies," he said in a statement after the vote. "Updating our tax laws is an essential, pro-growth reform which will improve our economy by allowing small businesses, farmers, and families across our state to keep more of their own money. Our high tax rate has been harming our economy, making our state less competitive and resulting in thousands of Missourians leaving our state for low-tax states like Florida and Kansas." Nixon swiftly condemned the General Assembly’s action, along with education groups, while business groups lauded legislators’s decision. Said Nixon: “While scaled back from last year’s billion-dollar House Bill 253, Senate Bill 509 fails to prioritize or adequately protect public education at a time when quality public schools are more important than ever to our ability to create jobs in the global economy. And while its authors may have delayed its impact, Senate Bill 509 remains a very real threat to the principles of fiscal discipline that have helped us maintain our spotless, AAA rating for decades. " Senate Bill 509 would phase in a reduction in the individual tax rate to 5.5 percent from the current 6 percent, while phasing in a 25-percent deduction on business income reported by individuals. The cuts would begin in the 2017 budget year, and only if the state sees income growth of at least $150 million a year. The two sides have tangled over Nixon's assertion that a provision in the bill will wipe out state income taxes on income over $9,000 a year, which would cut the state's general revenue by 65 percent. Tax cut backers deny that the sentence in question would force such a dramatic cut. The Missouri Chamber of Commerce maintains that the tax cut "takes a cautious, responsible approach to reducing our income tax burden." But the Missouri Budget Project, a watchdog group critical of the tax cut bill, contends that the required growth of $150 million a year, before any cuts go into effect, is "just a smokescreen." "State revenue needs to grow by around $250 million each year just to keep up with current services,'' said the group's executive director, Amy Blouin. "Moreover, because the trigger fails to account for already depleted services, recession-era cuts will become Missouri’s new normal. That will make it even harder for us to compete as other states invest in their infrastructure and education needs. SB 509’s triggers would have even allowed tax cuts to go into effect during the midst of the last recession." The Senate override vote had been along party lines, with all Republicans voting for the tax-cut bill. During the Senate debate, the bill's chief sponsor, State Sen. Will Kraus, R-Lee's Summit, recounted the bill's journey and his efforts to negotiate with the Democratic governor on a proposal that he would be willing to sign into law. Nixon said in February that any tax cut bill must also fully fund the state's K-12 foundation formula and must also overhaul Missouri's system of tax credits. In March, Kraus offered substitute versions of his tax cut bill that included the governor's conditions, but they went nowhere in the Republican-controlled Senate. Kraus later withdrew the governor's conditions from the bill and added language delaying the tax cut until 2017, which remained in the final version that was vetoed last week. "Two years (from now) was what the governor was talking about of how we could fully fund the (K-12) formula," Kraus said Monday before the veto override vote. "I'm committed to that." But the Missouri National Education Association, which represents many of the state's teachers, predicted that public education will be among the losers. The House spent more than an hour late Monday debating the bill, before returning Tuesday morning for the final vote. Republicans argued the measure would help Missouri compete with Kansas and other nearby lower-tax states, while at the same time saying their proposal is better than what Kansas put in place because the tax cut would be phased in. "In this economy … I would normally be wary of a tax cut at this time, were it not for the fail-safes and triggers that require at least $150 million in revenue growth for these tax cuts to take effect," said Jeff Grisamore, R-Lee's Summit. "The goal of this bill is to put more money in the pocket(s) of individual taxpayers and small businesses that are the engine of our state economy, that create jobs, and provide increased revenues for our state." Grisamore's district is within the Kansas City area, as is the district represented by Democrat Jon Carpenter of Gladstone. "So is (the tax cut) gonna do any good? I don't think so — I don't think going from 6 to 5-1/2 (percent) does a lick of good," Carpenter said. "I don't think one person, literally a single person, is gonna move to the state of Missouri and set up shop here because he or she read that we went from 6 to 5-1/2 (percent) … I don't think one single person will do it." 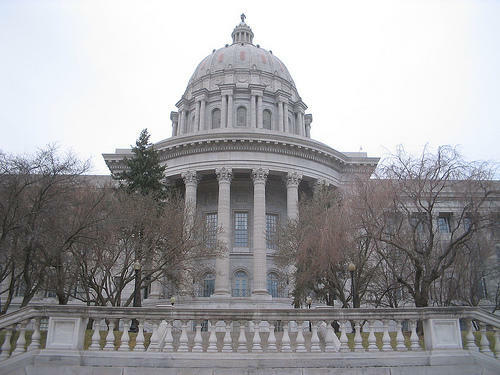 Majority Floor Leader John Diehl, R-Town and Country, postponed the vote because fellow Republican Rick Brattin of Harrisonville was away from Jefferson City due to a death in the family. Brattin was back in the chamber Tuesday for the final vote. Diehl had told reporters Monday that Republicans had obtained the necessary one vote from a Democrat, but he declined to identify English — although rumors were rampant Monday that the first-term Democrat from Florissant was going to support the override. English has yet to be reached for comment. Last month, fellow Democrat Jeff Roorda of Barnhart voted for SB 509 when the House sent the bill to the governor. But on Tuesday, Roorda at first voted "present," but then changed his vote to "no." (An earlier version of this report failed to note that Roorda changed his vote to no.) He is running for a state Senate seat in Jefferson County. Nixon on Monday had made a last-ditch effort to dissuade lawmaker. He spoke against the tax cut bill at a local bank in Springfield Monday, saying that it would threaten Missouri's AAA credit rating. The governor also cited last week's decision by Moody's Investments Service to downgrade Kansas' credit rating, which he has said is a direct result of the Sunflower State's decision several years ago to slash tax rates. Kansas has had to made severe budget cuts as a result. The Politically Speaking crew this week returns to a “split show” format. On the first part of the show, St. Louis Public Radio reporters Chris McDaniel, Jason Rosenbaum and Jo Mannies discuss the expectations for the General Assembly’s home stretch. As expected, Missouri Gov. Jay Nixon has vetoed Senate Bill 509, a tax-cut measure that he called “an unfair, unaffordable and dangerous scheme that would defund our schools, weaken our economy, and destabilize the strong foundation of fiscal discipline that we’ve worked so long and hard to build." With a new tax-cut package on his desk, Missouri Gov. Nixon has zeroed in on a new “fatal flaw’’ that his administration says could wipe out 65 percent of the state’s general-revenue income used to fund most state services and aid to public schools. The details may be different, but the basic argument mirrors last year’s fight, when Nixon successfully killed a tax-cut bill by highlighting flaws that he said would cost the state's treasury – and the public – far more than the bill’s backers had intended. The Missouri Senate passed a tax cut bill, after two different versions were blocked by Republicans who opposed a compromise between the GOP sponsor and Gov. 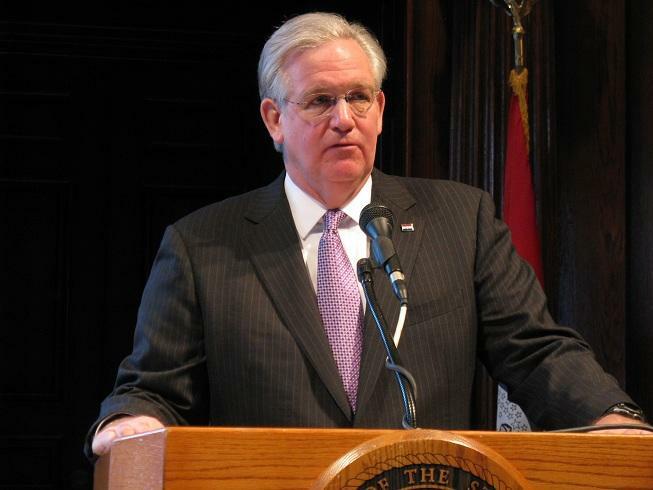 Jay Nixon, a Democrat.